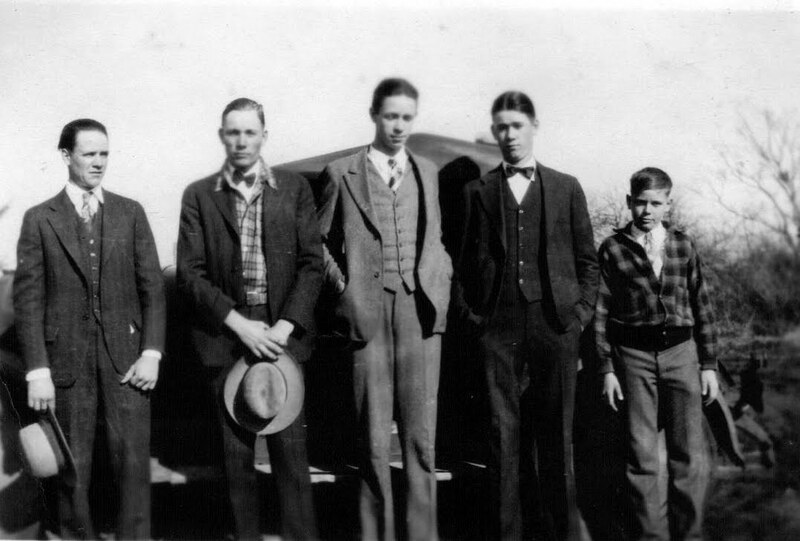 Herde Genealogy - Lemons Genealogy - Ratcliff Genealogy: Photo of the Herde "boys"
Photo of the Herde "boys"
(about 1925) L to R - -Francis, Edwin, Karl, Victor and Arnold. Click on image to view larger, then right click it to save it to your computer. Please do not link directly to this picture.